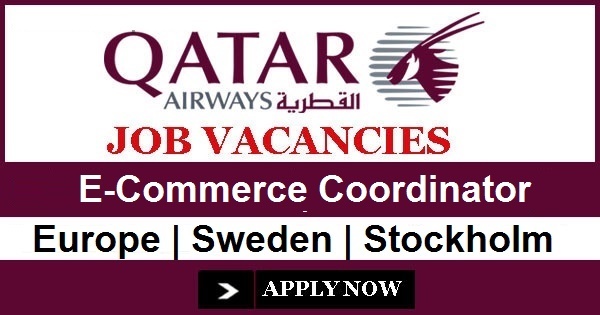 As the E - Commerce Coordinator, you will be responsible for developing qatarairways.com sales in the Nordic markets by creating and updating website and digital content, coordinating price campaigns and promoting qatarairways.com as the key sales channel for the airline. You will optimise Qatar Airway’s visibility and implement campaigns aimed at driving sales and achieving database targets and provide support in E-Commerce data mining. A key focus of your role will be to manage Qatar Airways’s online presence in order to strengthen strategic online partnerships and improve overall customer experience. You will be working jointly with a colleague on these tasks and reporting to the Direct Sales Manager, Nordics. Supporting the implementation of promotional campaigns to achieve the sales target for the region. This includes language translation coordination, creation of online banners and e-newsletters, creation of dedicated landing pages and the updating of website content. Responsible for the online marketing activities aimed at increasing relevant traffic flow and sales conversion using display, email marketing, social media and affiliate campaigns. Ensure delivery of all campaign applications on time, to budget and to the highest standard as well as to evaluate the performance of these actions. Proposing sales strategies and actions for the continued growth of qatarairways.com by analyzing sales performance and industry data as well as regular benchmarking against key competitors. Developing and implementing initiatives to increase eNewsletter subscribers to achieve targets. To be successful in this role, you will need a relevant vocational qualification combined with a minimum of one year job-related experience in an E-Commerce or Marketing job. Strong desire and motivation to succeed and develop in a fast growing and dynamic environment. You will need experience from working within a high speed and target driven environment driving and coordinating multiple tasks at the same time. You will need to have a Swedish work permit and be fluent in English as well as one Nordic language. Great system knowledge of Office package (Excel, Word and PowerPoint) and have good learning abilities for additional internal systems. Exposure to the airline or travel industry is advantageous.